The Irishman Founder’s Reserve is a nice, unique, whiskey that blends together the two types of malt whiskey made on the Emerald Isle: Single Pot Still and Single Malt. In Scotland all malt blends are fairly common but they don’t make a Single Pot Still (malted + un-malted barley) in Scotland so this is a product that can only come from Ireland. The components inside the blend itself are also pretty interesting. At 70/30 the Single Malt is acting like the grain component found in your typical blended whiskey where it makes up the bulk of the liquid and the Single Pot Still is playing the typical role of the single malt and adding the flavor the grain is meant to stretch out. 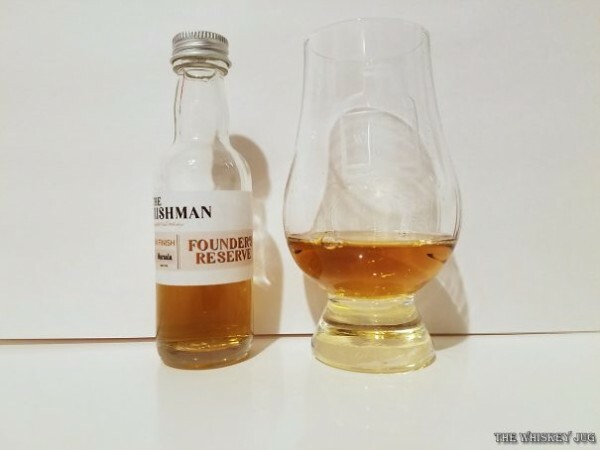 Conceptually interesting let’s see how it performs in the Irishman Founder’s Reserve review below. Figs, cocoa, hay-like malt, waxy, dried dark fruit, copper, dried apricots and light spice. Heavy malt, figs, cocoa, cinnamon oil, dried fruit, copper and a light bit of mushroom earthiness. Long -> Figs, smalt, earthy and spice. Great balance, full body and a lightly oily feel. Irishman Founder’s Reserve carries a dense presence across the senses: Starting heavy dark and fruity on the aroma before moving to earthier rustic and spicy notes on the palate with a strong note of figs from nose to finish. This is a remarkably good whiskey that’s helped along by the use of the Florio Marsala cask finishing and the 47% ABV and non-chill filtering. 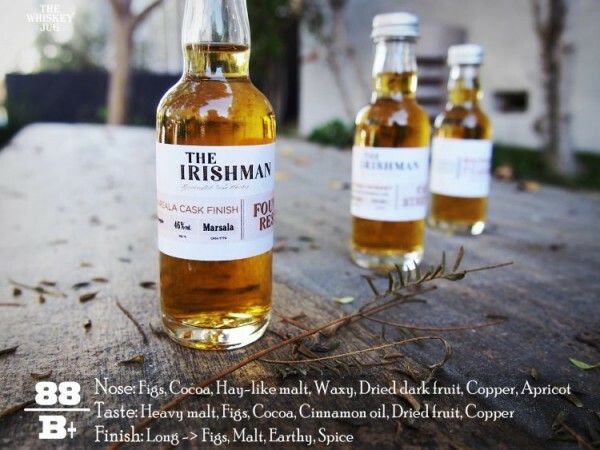 The Irish tradition is to create these honied fruit blends that are bottled at 40% and chill-filtered making them so light they nearly float out of the glass and I couldn’t be happier to see whiskeys like the Irishman Founder’s Reserve bucking that trend. Irish whiskey is a truly delicious, complex and inviting spirit: it’s just been a bit mistreated over the years. *Disclosure: This Irishman Founder's Reserve sample was graciously sent to me by the company for the purposes of this review. The views, opinions, and tasting notes are 100% my own. 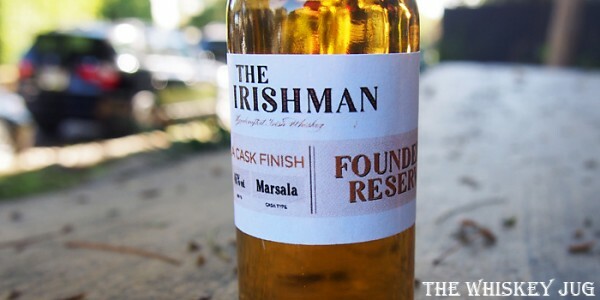 The post Irishman Founder’s Reserve Review appeared first on The Whiskey Jug.